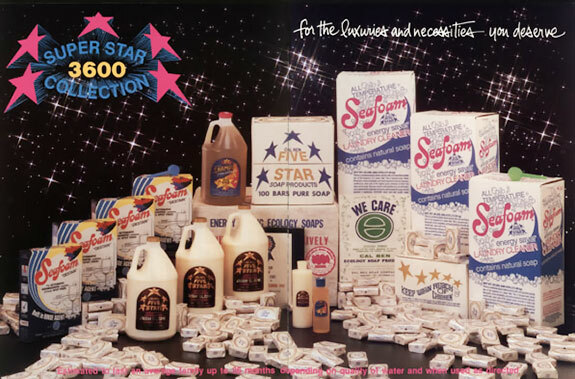 The Super Star 3600 Collection is estimated to last an average family 36 to 48 months! 3 - 25 Lb. Box (1200 ounces) ‘Seafoam’ Laundry Soap Powder. 1 - Gallon (128 ounces) ‘Five Star’ Shampoo Concentrate. (or, 4-5 Lb. Boxes ‘Destain’ Automatic Dish Granules & Scoop). 1 - Gallon (128 ounces) ‘Seafoam’ Dish Glow Concentrate.